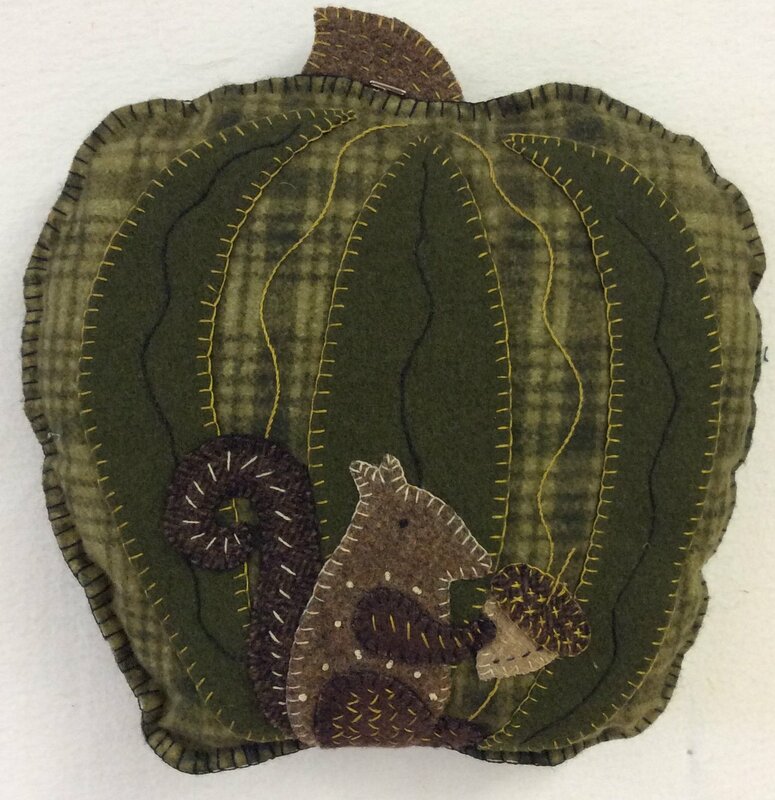 This adorable pillow is from the book "Seasons of Wool Applique" by Rebekah L. Smith and features a pumpkin and a precious squirrel. For our Patchwork Garden kit (PGK), we used flannel and felted wool to create our pillow which measures approximately 11" x 11". Don't forget to include the book "Seasons of Wool Applique" in your cart.